The BERG GO² is BERG's smallest go-kart for children from 10-30 months, but do not underestimate this tiny go-kart. Your toddler will learn to scoot or pedal much faster! 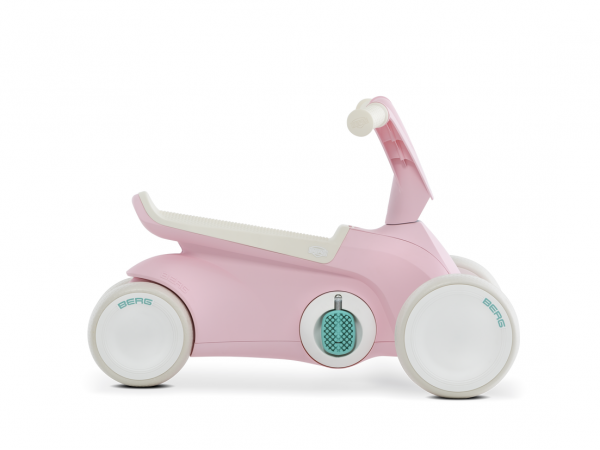 Due to its design, your child can easily use the BERG GO² as a push car without the pedals or the rear wheels getting in the way. Fold down the pedals when your child is ready for the next stage. You do not need to worry about your child tipping over because the four wheels of the BERG GO² keep it firmly grounded. A safe solution! 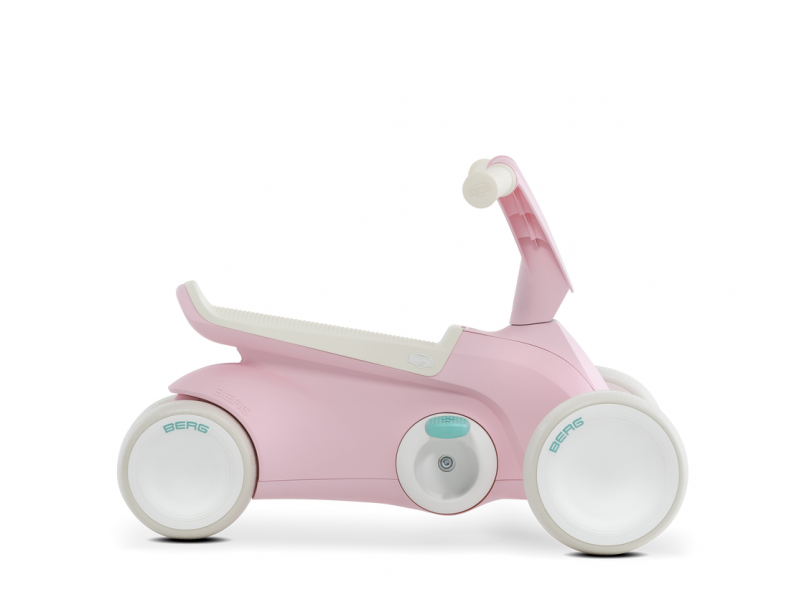 The design and the material of the BERG GO² ensure that this go-kart is perfectly suited to your child’s age. Neither the saddle nor the steering wheel need adjusting because your child always sits perfectly on the BERG GO². 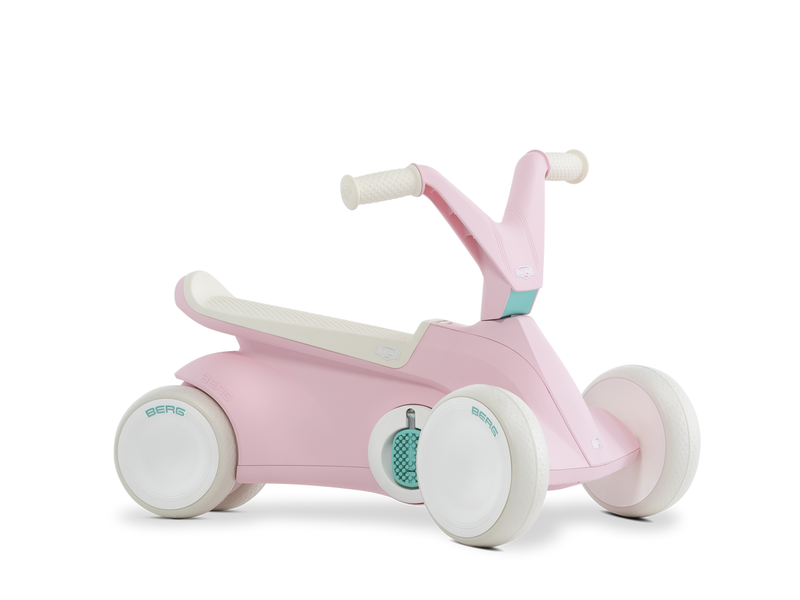 Your tiny tot can easily set off on this go-kart due to the lightness of the pedalling action and the direct drive. The saddle is designed to prevent your youngster from slipping off the seat. Silent whisper tyres mean that the GO2 can be used inside and out without making too much noise. In short, the 2 in 1 BERG GO² is the best choice because not only does it make playing fun, it also helps your child’s development.